It was my 19th birthday on November 8th. I didn't have a massive party, as I did that last year for my 18th. You can watch a small video if you would like of my 18th birthday on my YouTube channel. CLICK ME. 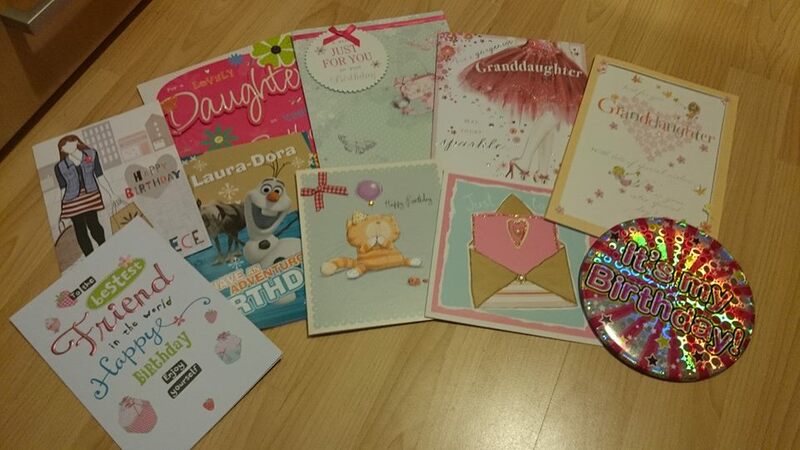 Any way I digress; it was my 19th birthday on the 8th and I thought it would be fun to share with you what I got ^_^. Disclaimer I am honestly not bragging, I more want this post for myself, I love documenting what I got for birthdays or Christmas as it's a great way to remember what you got. I usually just write the list in my dairy, but now I update my blog more often this seemed more appropriate. Plus I love watching these videos on YouTube. I find them really useful, especially as Christmas is coming up. What people got me for my birthday may give you some ideas for Christmas presents you may want for yourself or others. 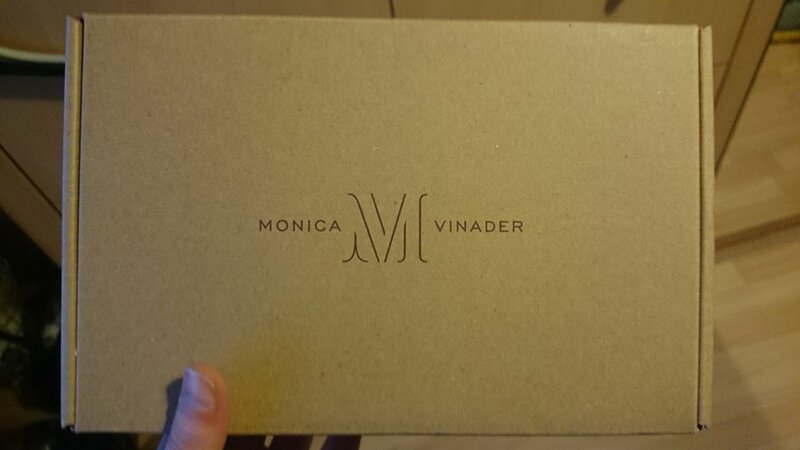 Off my parents I got this beautiful ring from Monica Vinader. 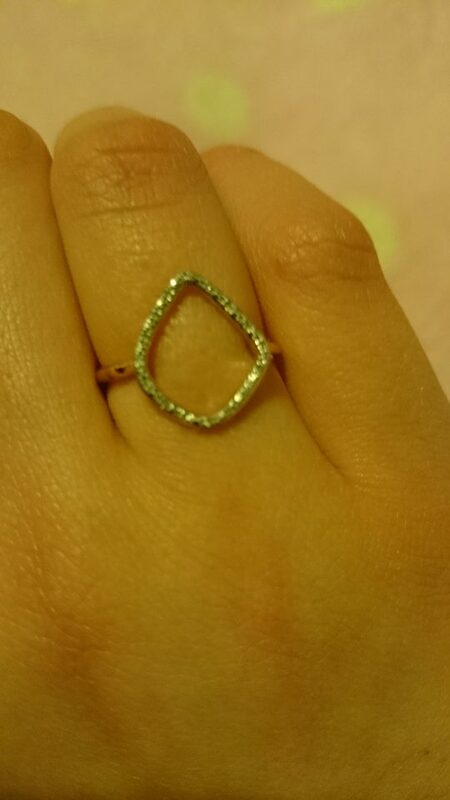 It's a Rose Gold diamond shape ring with small Diamonds in the Diamond hehe. I asked for this as I already have a ring from MV and I wanted to grow my collection hehe (plus their jewellery is just pure beauty!). The picture doesn't show even 10% of how beautiful the ring is. Have a look on the MV website if you would like to see more details on the ring. (click me). 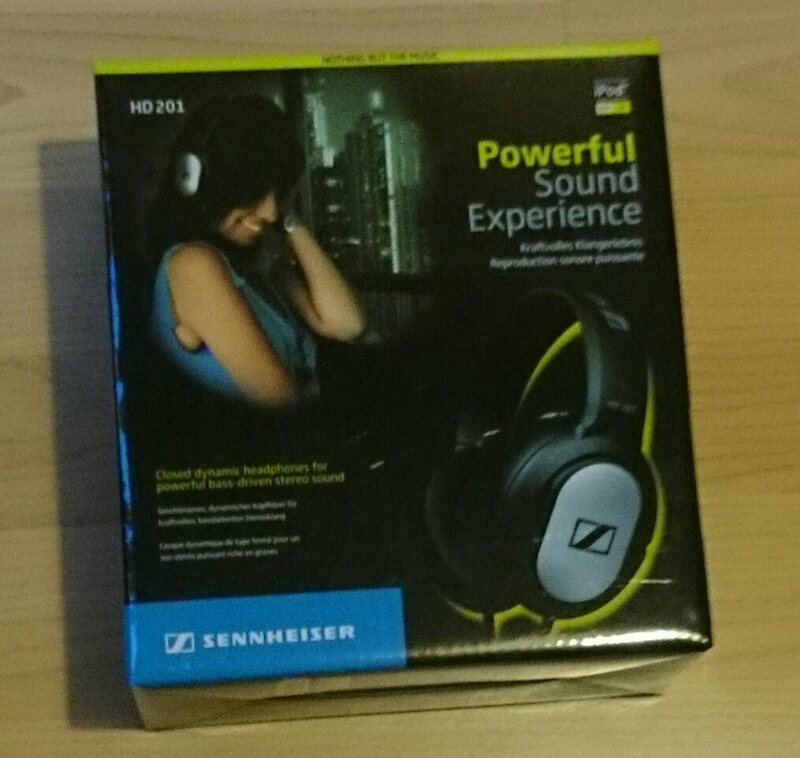 Secondly off my parents I got a new pair of headphones. I wasn't excepting headphone but they have came in so handy. Too often I am stealing my dad's headphones for studying (and I am sure he doesn't want that to keep happening hehe). I find headphones are so much easier to study with instead of earphones. These headphones are soundproof so you don't have to have the music dead loud just so you don't hear what's going on in the background. 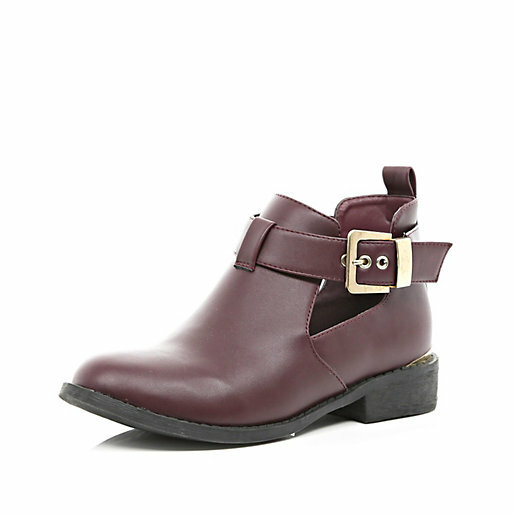 Off my Nana and Grandad on my mum and dads side I got these boots from River Island. I absolutely love the colour. I do need to break them in however, as I wore them waling around Liverpool and my feet were killing. But no doubt it won't take long to break them in :). 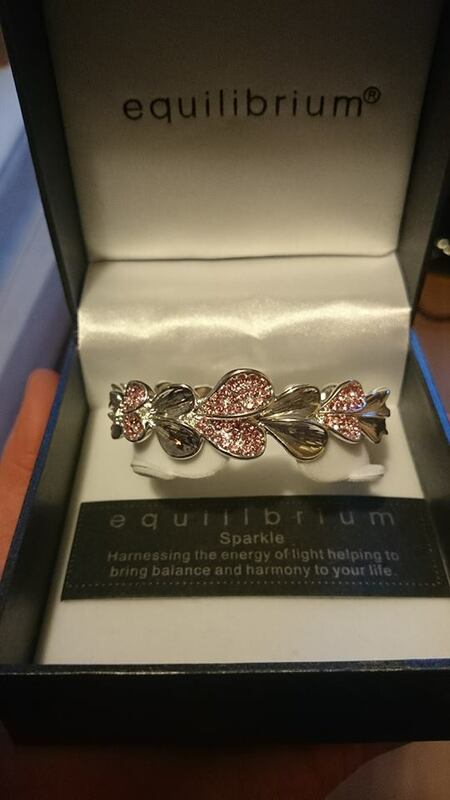 Off my Auntie and Uncle, they got me this gorgeous bracelet. I am afraid I don't have a link to it, as it came from a small boutique where I live. Off my other grandparents and my other other Aunties and Uncles, I got a mixture of money and Topshop vouchers, I have saved the money but the Topshop vouchers were spent on a turtle neck jumper and a leopard print top with a small turtle neck. From my friend Louisa, she got me two t-shirts. 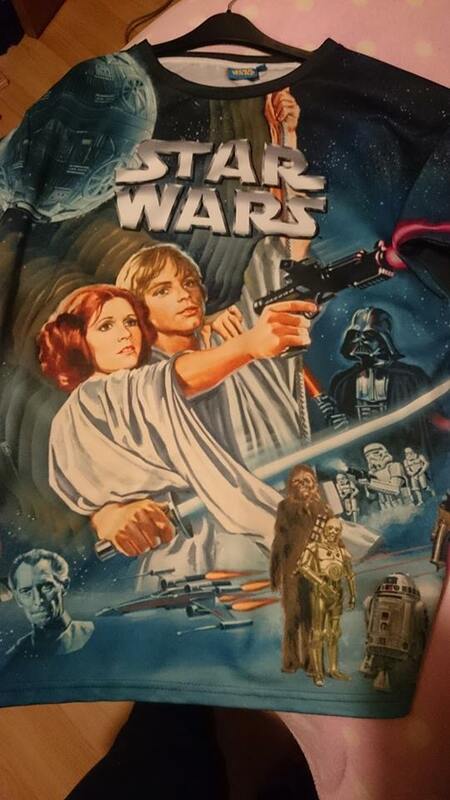 This amazing Star Wars one. And she also got me a super cute TFIOs one, however that one was in the wash when I decided to take the pictures. It was all black and says "okay, okay" on it hehe. 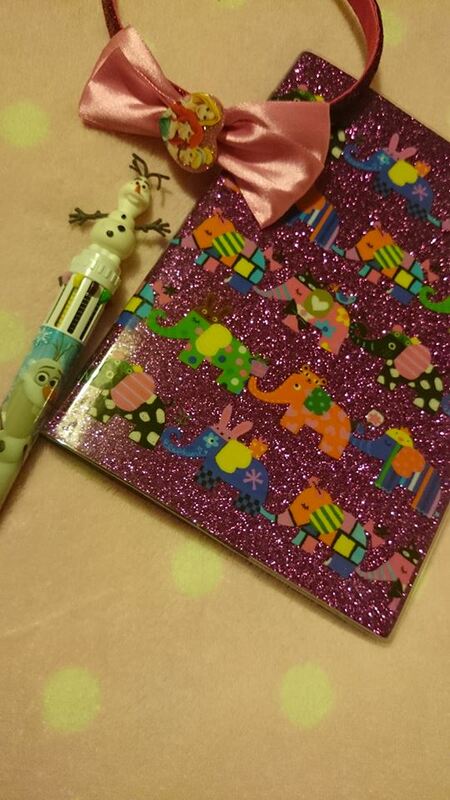 From my friend Emily, she got me this super cute notebook from Paperchase. Emily knew I was fan-girling over this notebook whilst we are away, so she sneakily bought it when I was waiting outside hehe. Emily also got me a disney headband and an Olaf pen (OMMMGGG OLAF!!) everyone in school is very jealous of my pen. To accompany this fabulous presents she threw in lots of delicious sweets and chocolates, however of course I ate them all by the time I took this picture hehe. 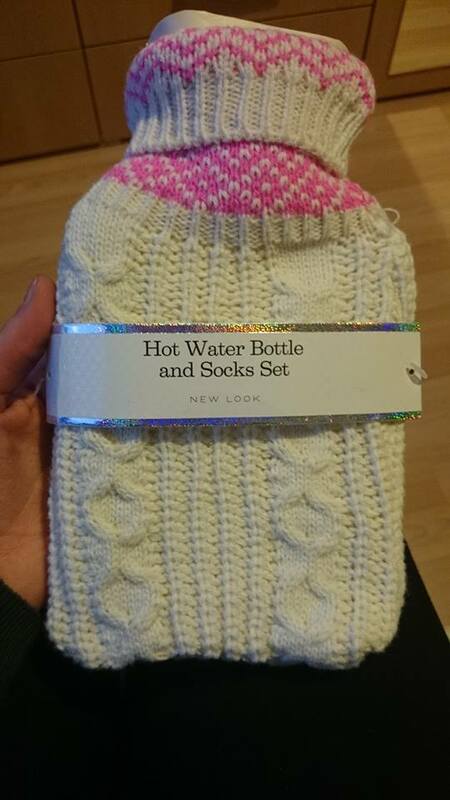 Lastly off my friend (who's basically my little sister) Leonie she got me a bed socks and hot water bottle set from New Look and Lynx female set, from well Lynx hahaha. She was so worried I wouldn't like them, but I loved them. 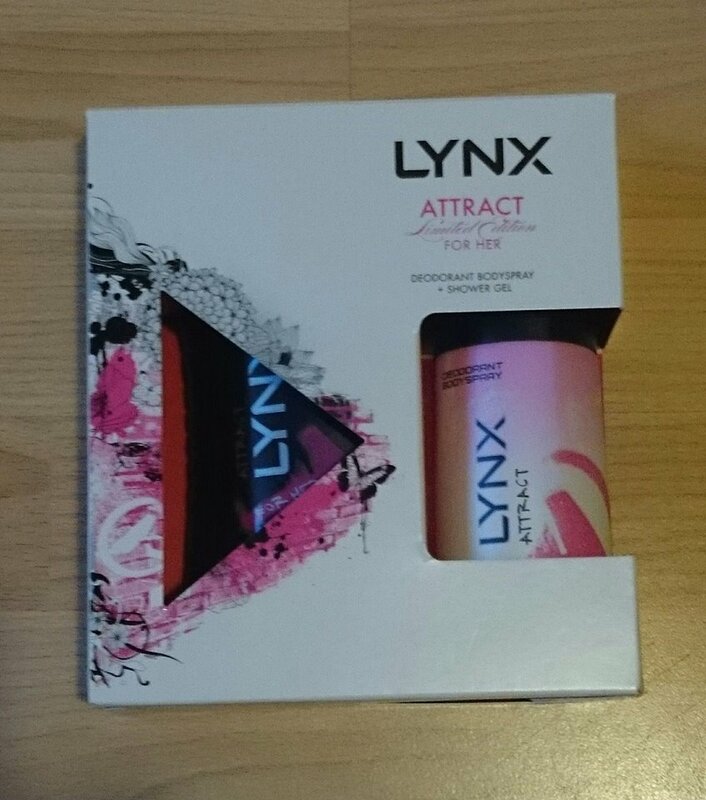 The socks are so warm and the Lynx set smells lovely, I have never used Lynx before so it was something new for me to try. (Okay I know the socks are missing, they were also in the wash hehe). And that was everything I got :D. I love all my presents, and I hope this gave you some ideas what to get your friends for Christmas, or what to ask for for yourself for Christmas (wow, that was a lot of "fors" in one sentence hehe).